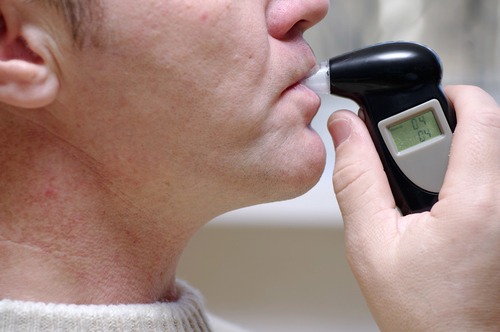 Blood alcohol content (BAC) testing, also referred to as chemical testing, can be an important aspect of DUI stops – as well as DUI cases. Understanding just what this testing involves and how it can impact a DUI case is important to figuring out your best defense options if you are ever accused of a DUI. To this end, below, we have dispelled some of the most prevalent and potentially harmful myths about BAC tests. While the following presents some important information for those accused of DUIs to be aware of, please don’t hesitate to contact a Denver DUI lawyer at Griffin Law Firm when you are ready for specific answers pertaining to your circumstances and case. Myth #1: Drivers have the right to refuse chemical testing during DUI stops. Fact: This is not necessarily true because refusing BAC testing in a DUI stop can trigger an automatic driver’s license suspension (with the term of that suspension being at least one year – and increasing by one year for any prior refusal on a motorist’s record). The reason for this is that Colorado has an implied or express consent law, which essentially requires motorists to submit to chemical testing when a police officer has probable cause to suspect impairment. So, the bottom line here is that drivers should be aware that they don’t necessarily have the right to refuse BAC testing because their refusals violate the express consent law (and will be met with an automatic penalty – even if DUI charges are never filed or the case ends in a dismissal or acquittal of the charges). Myth #2: The results of BAC tests are always accurate. Medical conditions the accused individual may have, such as acid reflux or even diabetes. For blood tests results, who took the samples – and how those samples were transported, stored and analyzed – can also affect whether the results may be questionable. The bottom like here is that you shouldn’t assume that BAC test results are always reliable – and that an experienced lawyer can be pivotal to identifying possible issues or inaccuracies with these results. Myth #3: If I submit to BAC testing, I may as well plead guilty to the DUI charges. Fact: Absolutely not! In fact, based on the above information, it’s clear that BAC test results can be subject to various issues, many of which can serve as grounds to question their accuracy (if not move to get them dismissed or thrown out). If you or a loved one has been charged with a DUI (or another offense) in Colorado, you can turn to the Denver DUI lawyer at Griffin Law Firm for experienced help and the strongest possible defense.